The Cardiac CT Angiography maintenance course is hands on training with case review. 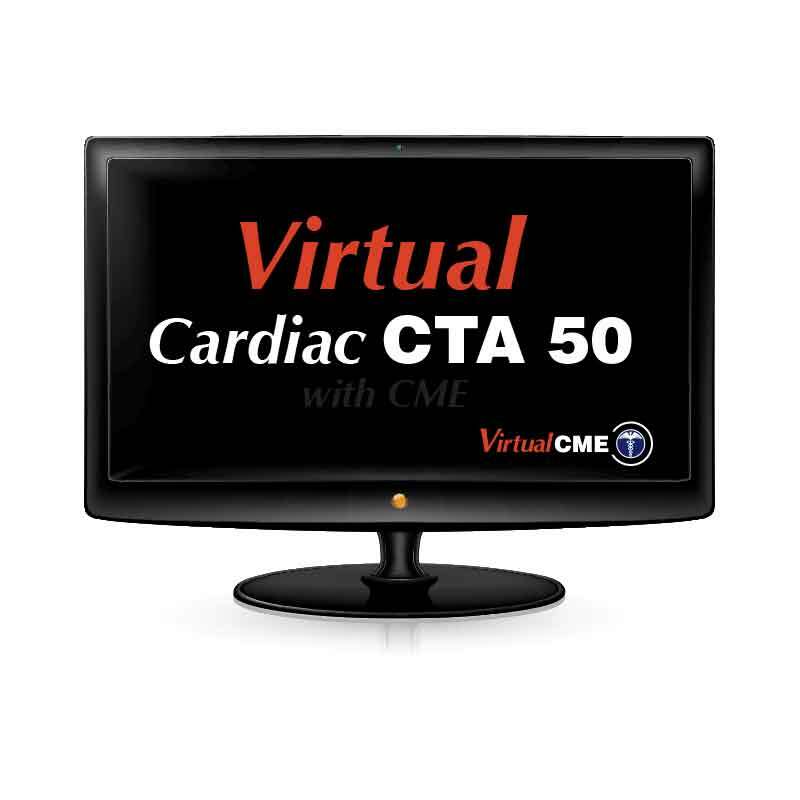 Students will work with 50 Cardiac CTA cases. Students manipulate and interpret the Cardiac CTA cases using a 3D workstation Cloud by TeraRecon. Findings are compared with video case reviews from Dr. Carter Newton and Dr. Roger Bies. During the video case reviews, students have the choice of watching a full case review, or a brief video summary of the highlighted findings. Course CCTA Cases count towards the minimum number of mentored examinations interpreted according to the ACCF / AHA Clinical Competence Statement on Cardiac CT and MR (Budoff et al, JACC 46:2005;383-402). Physicians properly perform and Interpret a Cardiac CT Angiography. Sponsored for CME by The University of Arizona College of Medicine at the Arizona Health Sciences Center. This activity has been planned and implemented in accordance with the accreditation requirements and policies of the Accreditation Council for Continuing Medical Education (ACCME) through the joint provider-ship of the University of Arizona College of Medicine at the Arizona Health Sciences Center and Virtual CME. The University of Arizona College of Medicine at the Arizona Health Sciences Center is accredited by the ACCME to provide continuing medical education for physicians. The University of Arizona College of Medicine at the Arizona Health Sciences Center designates this enduring material for a maximum of 44 AMA PRA Category 1 Credits™. Physicians should claim only the credit commensurate with the extent of their participation in the activity. Faculty members Dr. Roger Bies and Dr. Carter Newton, planning committee member Robert Graham, and the University of Arizona CME reviewers Dr. Randa Kutob and Robert Amend have disclosed that they have no financial relationships with commercial interests that would constitute a conflict of interest concerning this CME activity.